This drink is one of a series of snake themed riffs on the classic Diamondback from Death & Co. The Puerto Rican Racer swaps rum for rye as a companion to apple brandy and Yellow Chartreuse, and adds a touch of grenadine and bitters to the mix. There isn’t much else like this drink; it sort of breaks a lot of rules, distancing it from most famous classics that adhere to a template. The result is strong and botanical, yet refreshing in its own way. 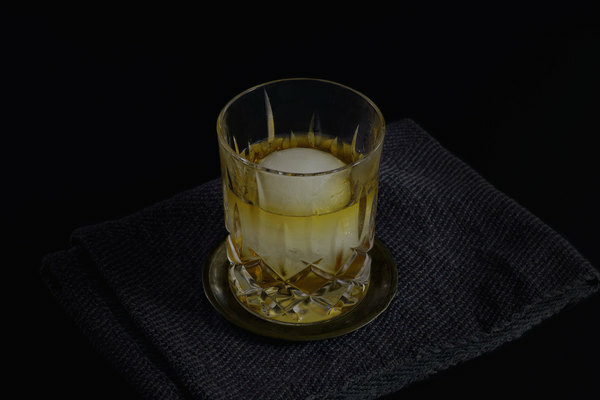 It's an excellent happy hour decompressor and a great choice for the cocktail geek who has seen it all and enjoys exploring the union of big and disparate flavors. The nose is mostly Chartreuse, with hints of rum and apple aroma lurking behind. Herbal notes of more Chartreuse hit the tip of the tongue, followed by spiciness from Peychaud's and a balancing fruitiness from apple brandy and grenadine. It manages to engage every part of the tongue. 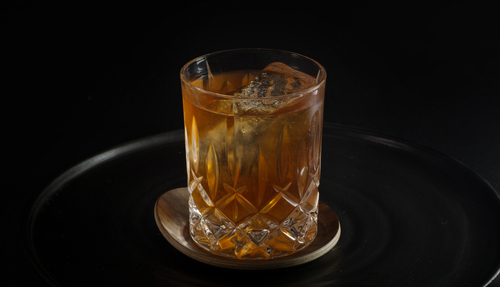 The Death & Co. recipe calls for Ron del Barrilito 3 star rum, but with all of these big flavors, don’t feel timid about tinkering with the type of rum. For a Chartreuse-heavy experience, a smooth rum with strong hints of vanilla works well here; if you’d prefer more rum forward then opt for a funkier label. If authenticity is the goal, make sure to use a Puerto Rican rum.